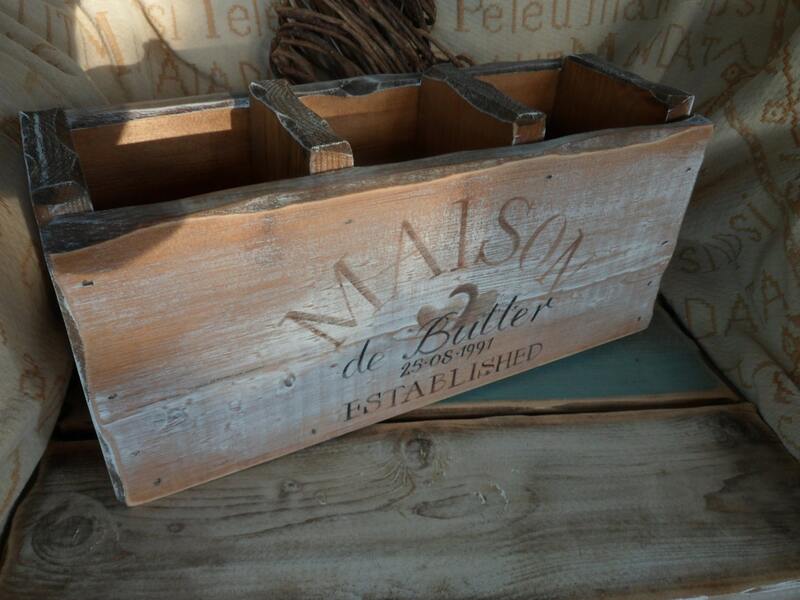 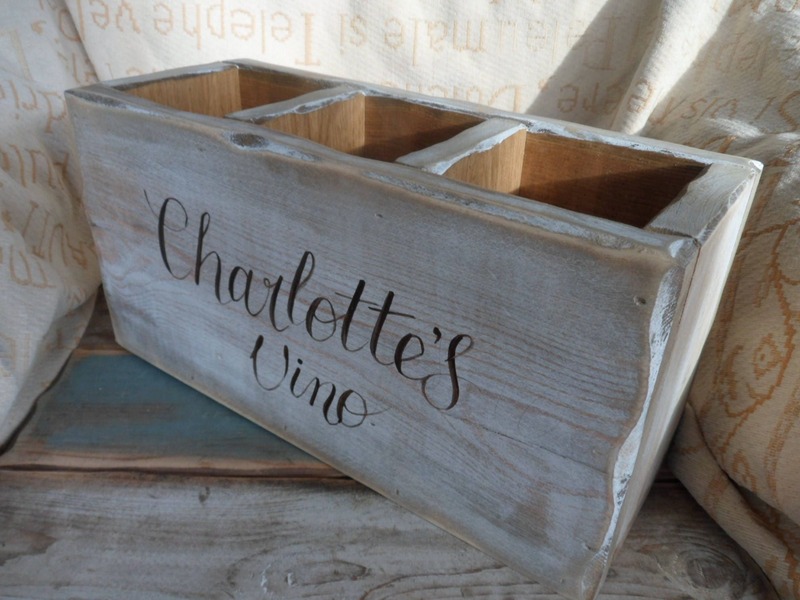 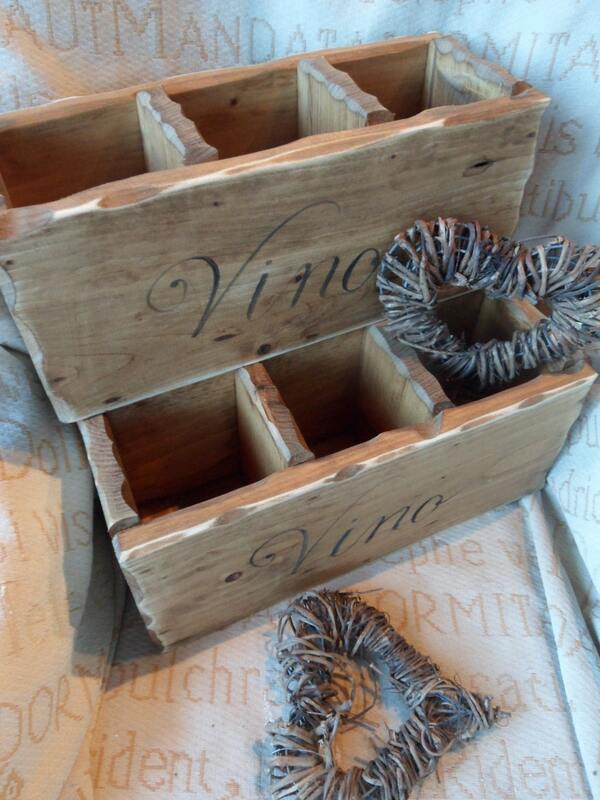 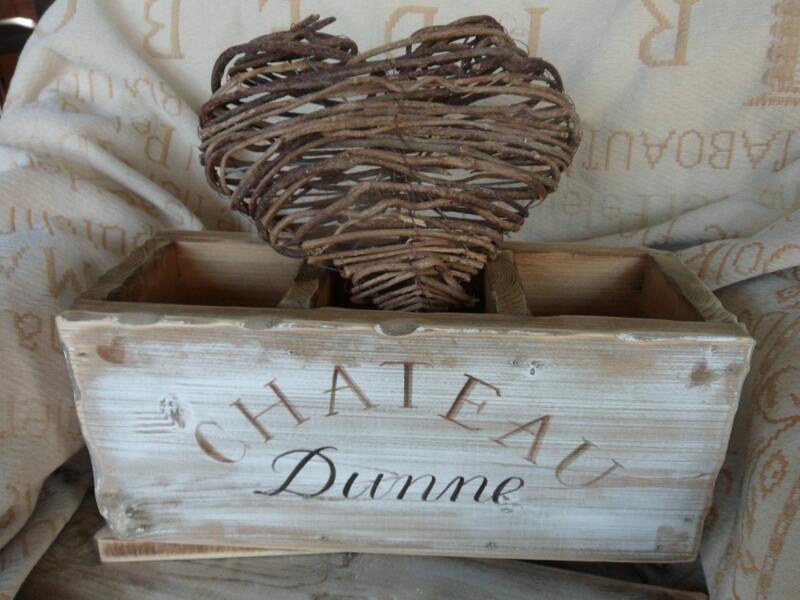 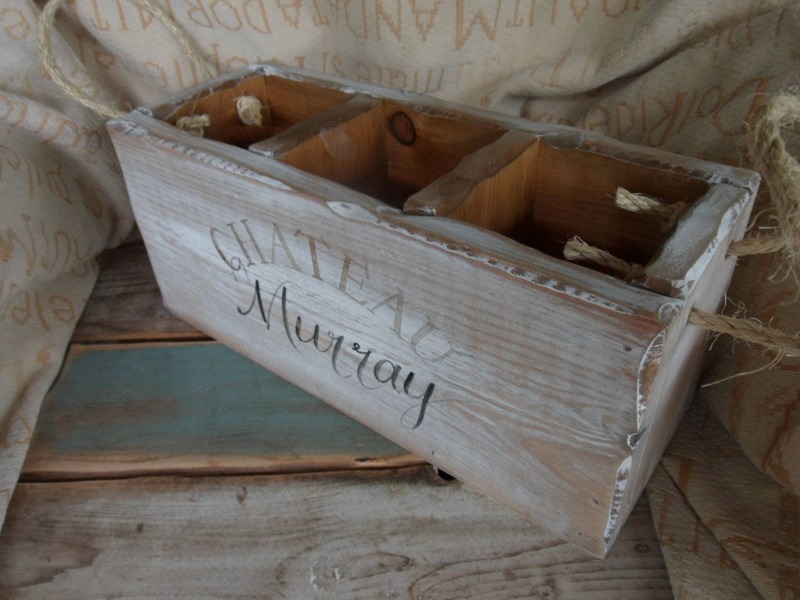 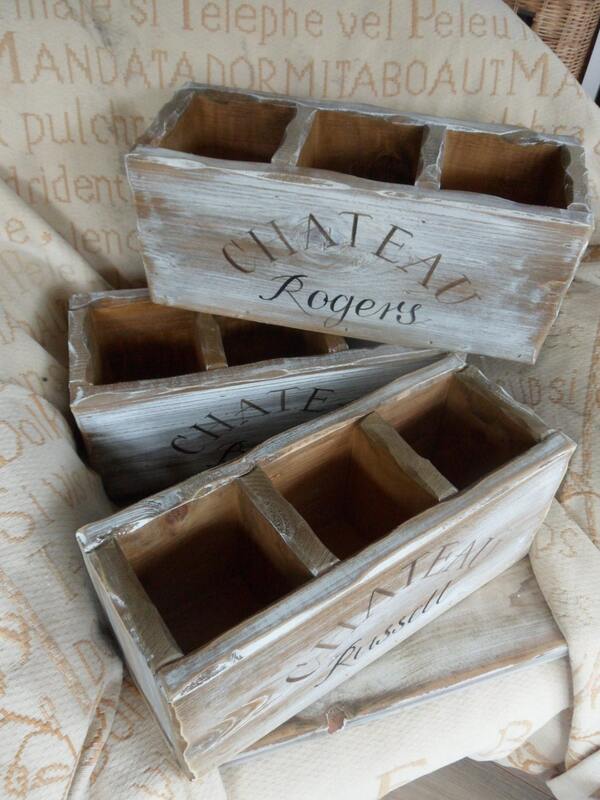 A hand made and hand painted wine box/ storage crate made in a shabby chic distressed style. 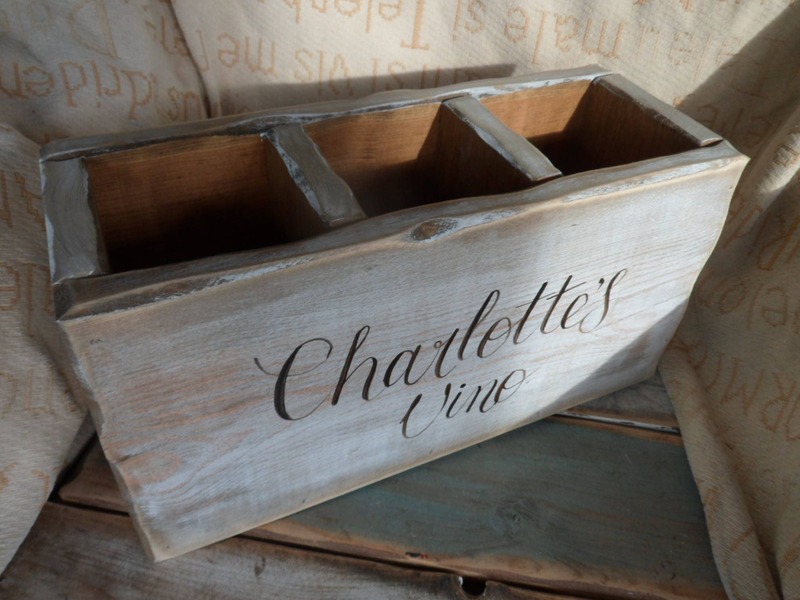 We use a combination of reclaimed and distressed timber to make these unique crates, this one has 3 compartments for your wine or champagne. 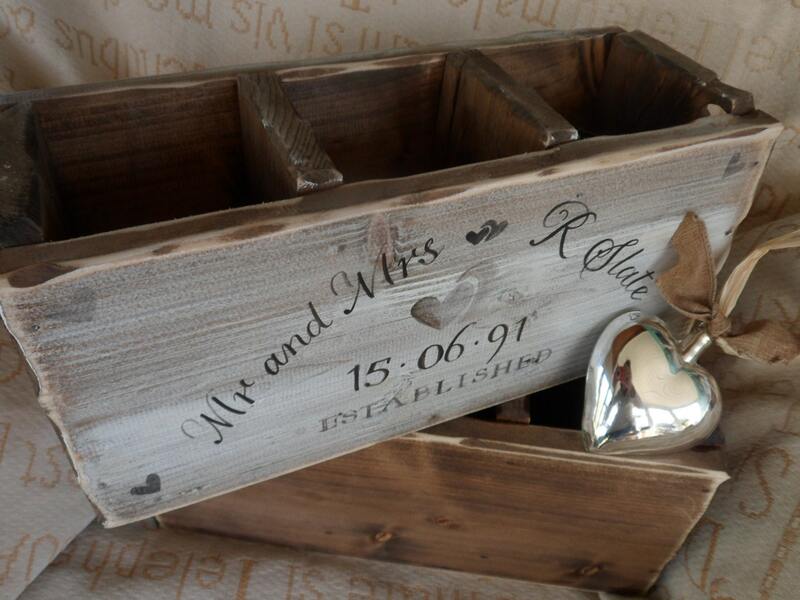 A unique Wedding, Anniversary or special birthday gift and just perfect for a 21st 30th 40th 50th 60th 70th birthday gift. 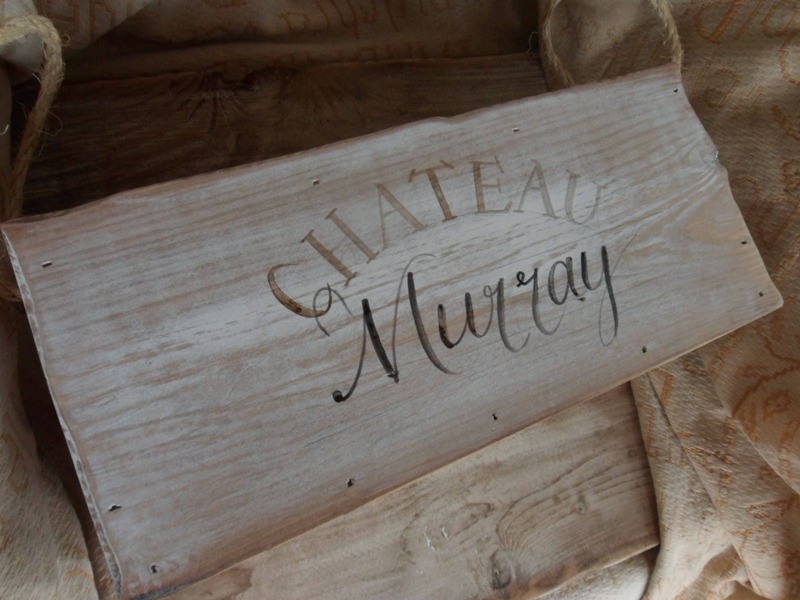 We can make different sizes, please ask, we will also ship world wide, just send us a message and we will inform shipping costs.